Times of Huntington-Northport, Times of Middle Country, Times of Smithtown, Port Times Record and Village Beacon Record published this piece in print on July 29, 2016. The first thing Suffolk County Police Chief Stuart Cameron does when he gets to work each morning is check the communications section log, which tracks all significant events from the night before. More often than he would like, he reads that at least one young adult died from drug-related causes. And almost every time he is in a police car, he hears a call about an overdose on the radio. The Emporium in Patchogue was filled with almost 600 people Thursday night, all there to listen to Billy Joel and Led Zeppelin cover bands, who were there to raise money for SCPD’s Crime Stoppers’ four-month-old narcotics tip phone line, 631-852-NARC, which has already received nearly 900 tips — so much that the SCPD added detectives to investigate leads. The original Suffolk County Crime Stoppers tip line generated a lot of helpful leads, Cameron said, but residents did not realize they could use the number to call in narcotics-related ones. Now, narcotic search warrants are up 100 percent this year, he said, and the amount of reward money given to those who called in tips leading to an arrest was higher than it had been in the past 20 years. The benefit concert raised $55,000 in one night, all of which funds rewards. Donations are the sole way rewards are funded. 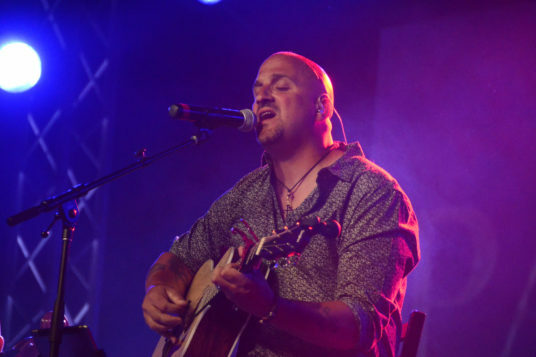 Michael DelGuidice, a Miller Place resident and front-man of Billy Joel tribute band Big Shot, said that the night’s concert was the right way to start fighting the county’s heroin epidemic, but stressed that it needs to be just the beginning of more action. Teri Kroll’s son Timothy died at age 23 from a heroin overdose on Aug. 29, 2009. He became addicted to oxycodone after a doctor prescribed it to help alleviate the pain from his migraines. When his parents found out, they took the drugs from him and began the process of helping him recover, but they did not know he had turned to heroin. The doctor, Seji Francis, was sentenced to six months in prison and deported after Timothy reported him to police. 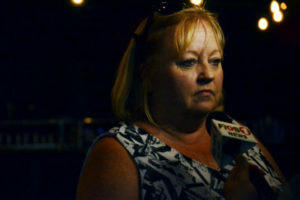 But during the process of helping her son and the detectives, his mother said there were no resources for her to turn to for help; no other mothers to call. There was a stigma around heroin addiction that there does not seem to be now. She added that if Timothy was at the event, he would be smiling and dancing with whoever was around him. Louis Iacona, president of Long Island Helps Recovery Initiation, said this event was a fun way to raise money and awareness about Suffolk County’s heroin problem. He struggled with the drug and found there were not a lot of resources available to help him recover. “We need to smash this heroin epidemic to smithereens,” Iacona said. Smithtown resident Nick Santoria, guitarist for Led Zeppelin cover band Zofolk, said the band was grateful to be invited to play at such an important event. Residents can report tips or information regarding past crimes and drug dealing anonymously by calling 1-800-220-TIPS. Rewards of up to $5,000 will be issued. Teri Kroll lost her son Timothy in 2009 to a heroin overdose. She shared her story during the Suffolk County Police Departments benefit concert to raise funds for Crime Stoppers rewards to aid in halting Long Islands heroin problem. Photo by Rebecca Anzel. Mike DelGuidice, Miller Place frontman of the Billy Joel tribute band Big Shot, performs during the Suffolk County Police Departments benefit concert to raise funds for Crime Stoppers rewards to aid in halting Long Islands heroin problem. Photo by Rebecca Anzel.